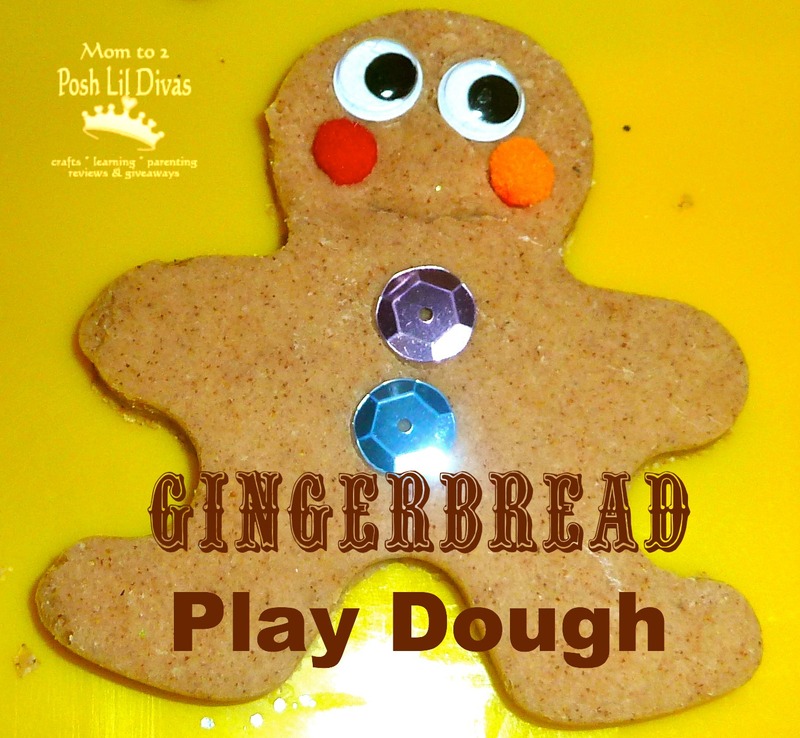 It's Gingerbread Week here in Diva Land! 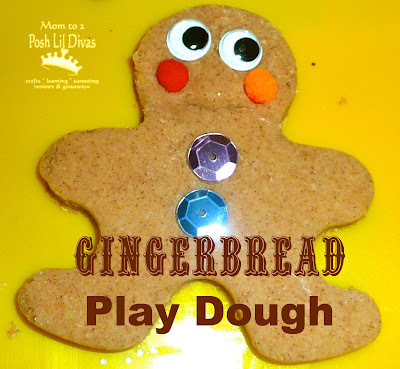 This is another great smelling easy play dough recipe. I added some more spice because my girls like it strong. Note: I have cooked this play dough on the stovetop and right in a bowl with boiling water that I microwaved - both worked well. 1. Mix all the dry ingredients in a pan or bowl. 2. Add in the vegetable oil. 3. Add boiling water and mix. Allow some cooling time - it will be hot to the touch! You may need to add some extra flour - I put some right onto my counter and knead it there. Sniff & Enjoy your play dough! The Lil Divas used gingerbread man shaped cookie cutters to make Gingerbread Boys & Girls. 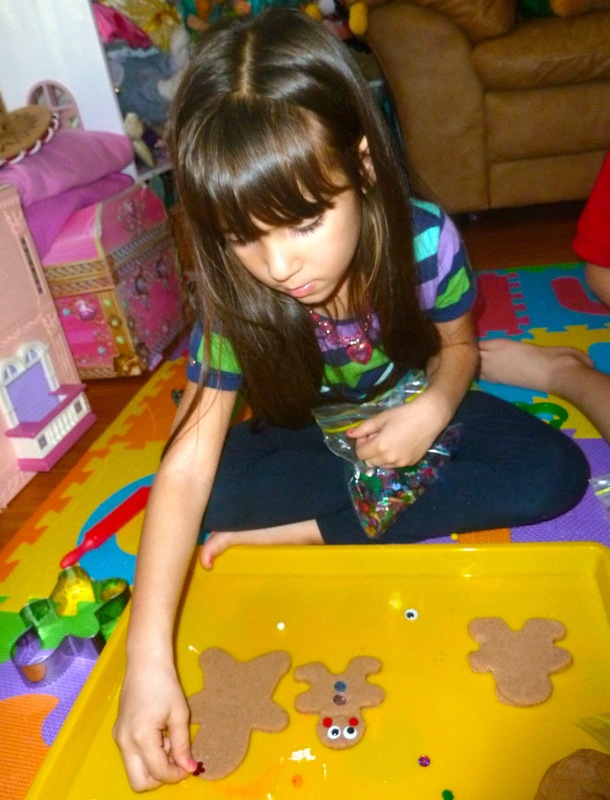 They added details by using wiggly eyes, sequins, beads and pom poms. 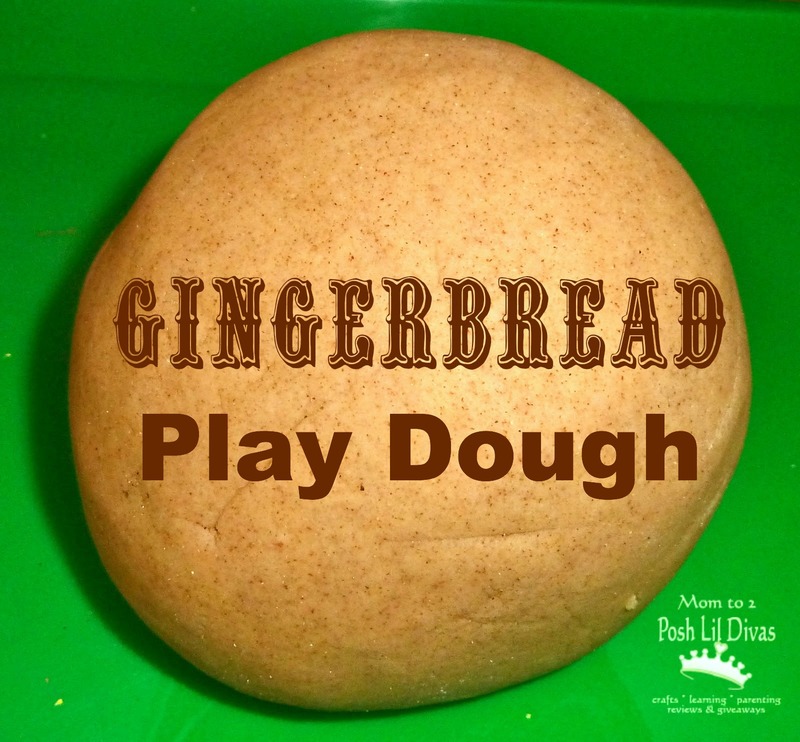 Enjoy this yummy smelling play dough! Ah how sweet! And perfect for the Christmas season. 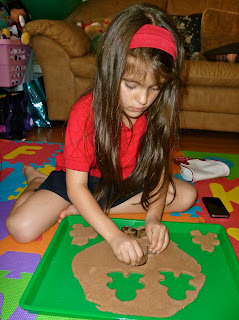 I love the gingerbread playdough! It smells fantastic! I'm going to have to try making it with the boiling water, it would be so much easier! This is cute. Our elf is going to bring a gingerbread house for my son, so this would be a fun activity to go along with it. Have a happy rest of your week! They look so good that I can practically smell them through the computer! 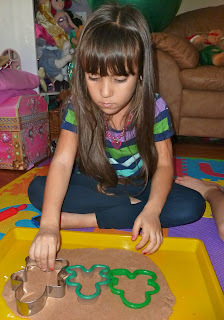 The kids at our preschool really enjoyed this. If out too long it does seem to dry out a little, not sure what to add to it so it does not dry out so soon. Any suggestions?? ?